Each year in late January the Amherst Railway Society holds one of the biggest railroadiana and model train shows and sales in West Springfield, Mass. While the show runs two days, I decided to spend only one day at the show and spend the second day meandering along the former Boston & Albany (now a part of CSX). 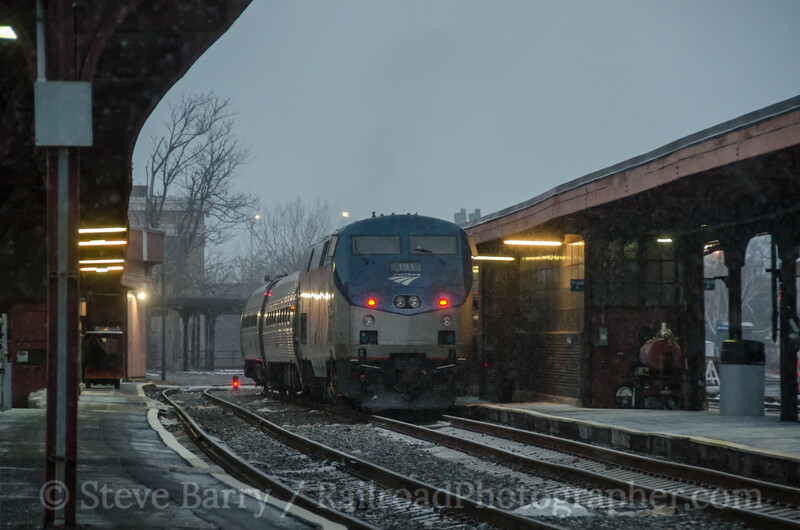 After the show on Saturday evening I headed over to the Springfield station to drop off a friend who was taking Amtrak home. The gray skies were just beginning to spit snow as darkness moved in (above). The Springfield station still uses the old B&A platforms and canopies, but the station itself is modern and utilitarian. 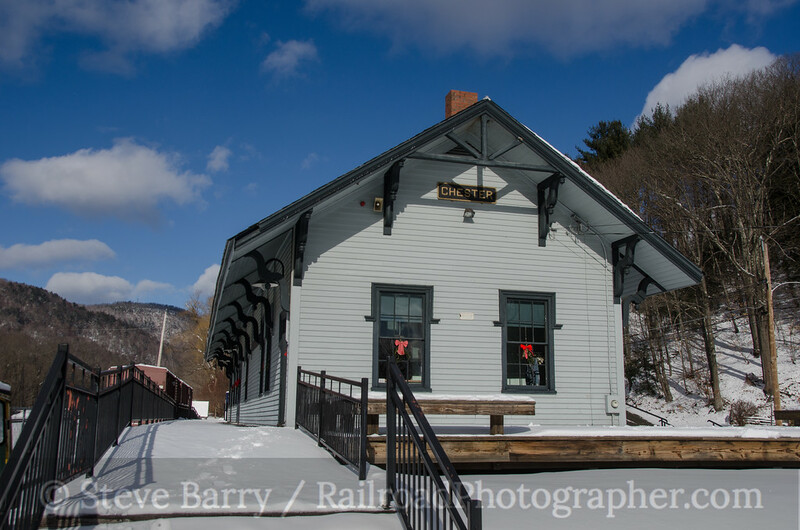 I then went to Palmer, Mass., with another friend for dinner at the Steaming Tender Restaurant, which is located in the town's former B&A station. While I didn't get any photos there, I did get a very good and reasonably priced meal that was a great way to end the day. The first stop the next morning was at the former B&A station in Westfield. The large brick structure now houses an insurance agency. 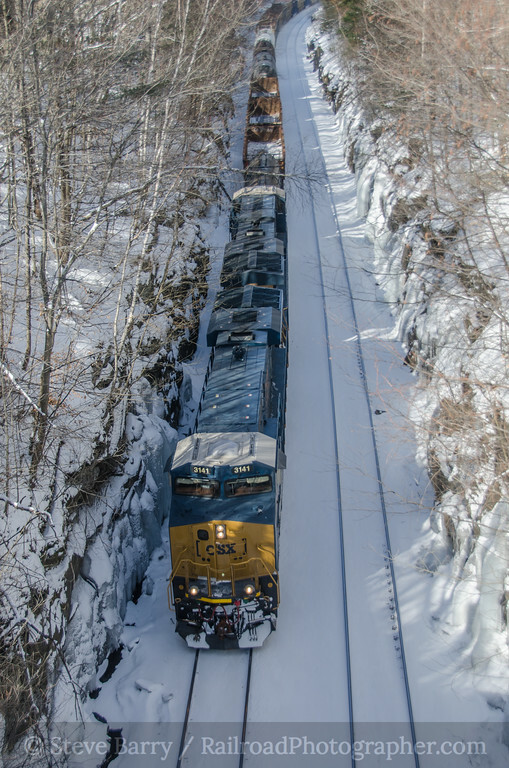 Over the years, the railroad has been raised through this area, so now the CSX tracks are substantially higher than the old level of the platform floors. The Pioneer Valley used to cross CSX here on a diamond, but the elevated CSX right of way now covers where the diamond was. The bridge on the Pioneer Valley just south of CSX is now abandoned. 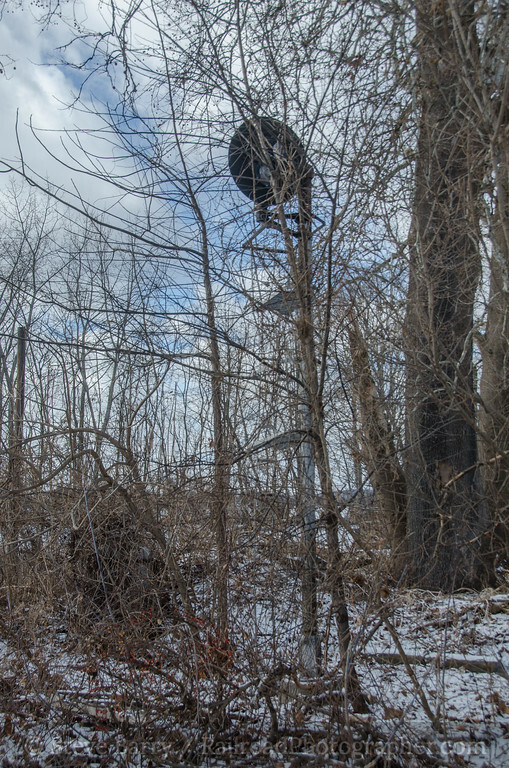 Also nearby is what's left of a signal that controlled Pioneer Valley movements over the diamond. Chester Railway Station; Chester, Mass. Heading west, the next station still in existence on the B&A is at Chester. Now housing a railroad museum, the wood frame depot is a survivor; the date it was built is unknown, but it was likely in the 1840s. It shares a design that was quite common on the B&A, but when the B&A's parent railroad, the New York Central, modernized the line's depots in the 1880s, most of the wood frame depots were demolished. In addition to Chester, one still exists in Hinsdale, but it has been moved away from the tracks. 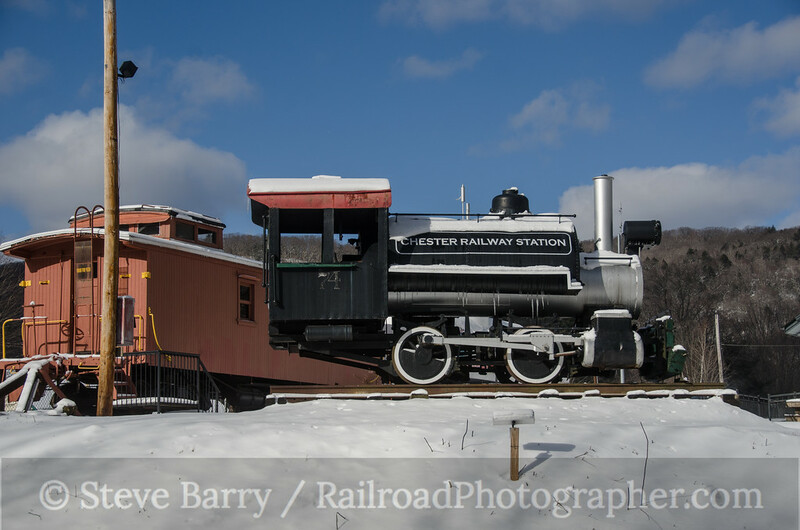 The Chester Railway Station & Museum has several pieces of equipment on display, including an 0-4-0T steam locomotive. Exploration further west revealed some surprises. A station I had seen at Becket many years ago was gone, with only the remnants of a derelict wooden caboose left at the site. The station in Dalton that was a restaurant the last time I was there is now a private residence. Since the light was not real good for shooting, we decided not to bother the owners to see if we could take a photo. 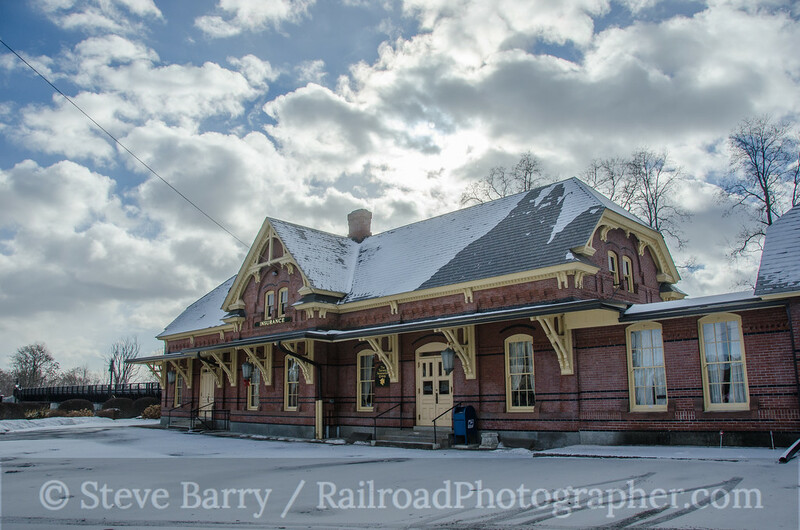 We did see the wooden station in Hinsdale that was moved from the tracks, but once again the light was not favorable. 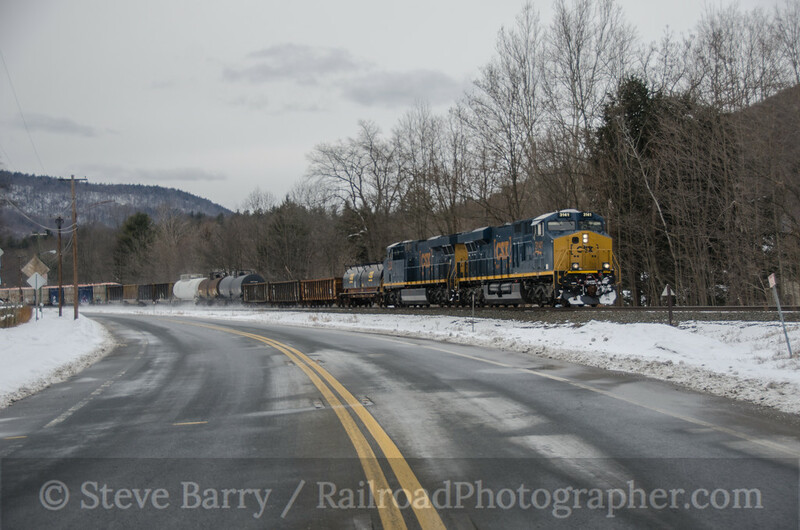 But while we were in Hinsdale, we heard an eastbound CSX freight approaching, and we chased it to near the summit of the Berkshire Mountains in Washington, where the B&A passes through a deep cut. We chased the train eastward, and got it again at Huntington. But our patchy blue skies were giving way to gloomy gray, and with Amtrak still three hours away we decided it was time to head for home. A few more photos from the day can be found here.